In separate statements, 23 professors of the the University of the Philippines’ School of Economics and the UPSE Student Council this week brought shame to the University by rejecting its tradition of radical activism in their scandalous defense of embattled Budget Secretary Florencio Abad. They branded UP students who confronted Abad and protested the corrupt pork barrel system as “enemies of the University” and “hooligans”. The rogue statement of the UPSE professors went even further by asking University authorities to conduct an “inquiry” on Sept. 17 protest that happened as Abad was leaving the UPSE auditorium. Abad continues to draw fire for his leading role as brains and implementor of the P237-billion Disbursement Acceleration Program, or presidential pork barrel, which was declared unconstitutional by the Supreme Court. The same court decision hinted that Abad should be held accountable for his role in the DAP scandal. “The government cannot ignore the increasing outrage of the public,” wrote UP Prof. Clarita Carlos on Facebook as she shared a link to a news report on the UP students’ protest. Haaaay UP… Your statement condemning the students’ alleged acts of hooliganism –hooliganism? Who says that nowadays?– ignores one thing. That it is our obligation as citizens to protest, to fight off a government gone mad. If we do not confront our officials, if we protect them from visions of angry mobs, we are creating conditions for a bigger, angrier and more violent scenario. I repeat, officials must be confronted, faced with the anger we all feel. Covering everything in civility only makes them rest easy, comfortable in their ill gains or incompetence. The concepts of “civility,” “decorum,” and “respect” have always been used by those in power to quash dissent and delineate class. Feck that. The protesters should apologize, they say. Should we be the ones asking why Sec. Abad and Pres. Aquino have not issued any apologies, as they continue to defend the DAP? “Hooligans!” Abad accused them . The students’ ire was not undeserved. We have had corrupt officials, elected or appointed, who stole money from the nation’s wealth for their personal benefit, but the worst would be one who had helped corrupt the very foundations of a nation. A social protest is not an amorphous mob. The protest was a sustained collective action informed by the knowledge of the malfeasance of the President and Sec. Abad rooted in political patronage and the rotten culture of bureaucrat capitalism. The protest was guided by solid principles and scientific analysis of the issues at hand. It was the culmination of collective anger and frustration at the failure of this government to explain DAP, and the ditching of the impeachment complaints filed against a President who refuses to be accountable to the people. As educators, we do not simply educate our students according to the liberal bourgeois values that Sec. 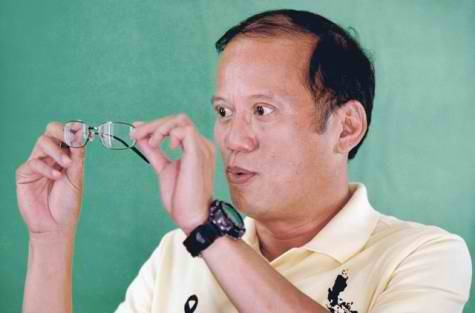 Abad espouses when he says: “At the end of the day, if you cannot convince the other side with your ideas, then, resort to violence or to harm is not the way to go.” No. We educate our students and mold young people who will passionately challenge the system amidst social apathy, complacency, academic careerism, and diploma worship. We need a breed of students who “riot, who rebel, who attach life with all the youthful vim and vigor” for a “better world for tomorrow.” (William Allen White). We need to reinvigorate the spirit of student activism today just as, during Martial Law, students stood their ground fearlessly and fought toe-to-toe with the established order. Liberal tolerance in our campus, political or otherwise, must be deconstructed for what it truly is: the weapon of the ruling class to contain social unrest through sterile debates. Debates, while being part of activism, is not the terminus of activism. We should never be afraid of debates. We do, however, refuse to engage in talk that will only lend credence to the façade of democracy and academic freedom we currently have. The Diliman Commune during Martial Law, the numerous protest actions against then-President FVR against the Commonwealth Development Plan (CPDP) in the 90s, and the multi-sectoral mob against GMA at the George Ty building in recent years, are part of our history as a university. Protests and dissent indeed are hallmarks of UP. Military chief Hermogenes Esperon was pelted with eggs. UP students were among those who threw a casket at Ferdinand Marcos at the old Congress building. UP presidents challenged Philippine presidents. These happened not out of whim but as a result of study and scholarship, with the students and other UP constituents arriving at a decision to take action based on what they have concluded to be the proper courses of action. The real shame for UP therefore are the statements of the 23 UPSE faculty members and the UPSE Student Council. The rogue statement of the faculty members mistakenly used “academic freedom” to protect the scammer Abad from legal and legitimate acts of protests, albeit militant and confrontational. They might as well rename their college to the UP Florencio Abad School of Economics. The real tragedy is that the rogue UP elements here misused titles and positions in UP, not in the service of the people, but in defense of Abad, a public official who the public, including their national university, should hold to the standards of public accountability. The protesting UP students got it and acted on it when they confronted Abad. The 23 UPSE faculty members and the UPSE Student Council not only missed the point. They doubled-down by defending him and practically declared UP as a “safe haven” for a crook like Abad. Their demand for an “inquiry” is an assault on UP’s mandates and its honored tradition of radical activism and dissent which challenge not just a mere budget secretary, but Presidents themselves and the entire political, economic, social and cultural system. If left unchecked, that mindset threatens UP’s credibility as the national university and humiliatingly turn UP into a stomping ground and safe haven for corrupt government officials like Abad. The next step to censorship and the persecution of dissenters would be consigning UP to irrelevance and impotence as a university that supposedly aspires for the symbolism of the Oblation. Oblation means complete and total offering to the people. Not to Abad.